A stay at Hotel Danubia Gate places you in the heart of Bratislava, within a 15-minute walk of Primate's Palace and St. Martin's Cathedral. Featured amenities include limo/town car service, express check-in, and express check-out. 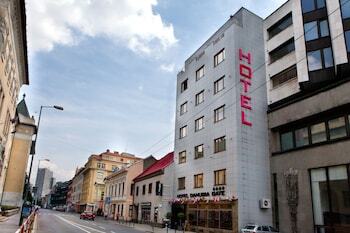 Planning an event in Bratislava? This hotel has facilities measuring 785 square feet (73 square meters), including a meeting room. A roundtrip airport shuttle is provided for a surcharge (available 24 hours), and self parking (subject to charges) is available onsite. Penzion Fantazia is located in Brezno.